I recently took a two-year sabbatical to explore new directions in my wire work. 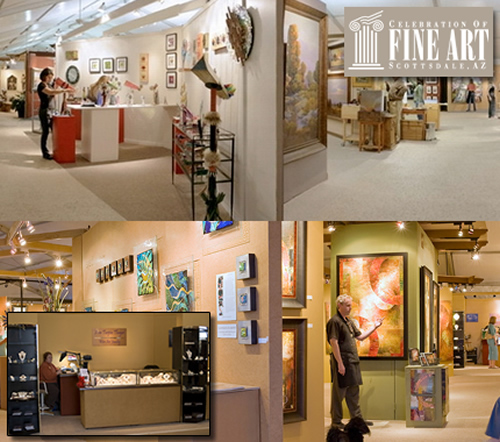 Now, armed with new techniques and a dazzling collection, I am happy to announce that I will rejoin the Celebration of Fine Art family in January 2015. This marks the 25th Annual Show, it will be my 13th season with them. I am coming back with a partner and collaborator, Suzanne Brown. I met Suzanne in 2003 at Celebration of Fine Art where she kept asking to take classes from me. She did take my wire wrap course, but Suzanne wanted to do more with the cabochons and gemstones. She worked in PMC for a while, then found her niche with silversmithing. Suzanne has done Fine Art Expo for the last three years as well as service her private clientele. Last fall we starting talking about collaborating of several projects and got excited about the prospect of working together.